https://matcha-jp.com/en/5301 Up To 60% Discount! Stay At A Fabulous Hoshino Resorts KAI Ryokan! Young travelers who dream about coming to Japan and relaxing their body and soul at one of the many onsen, relishing special kaiseki cuisine (*1), but fear their budget wouldn’t allow for such extravagances should pay close attention to this article. There is an exclusive and affordable plan for those in their 20s, that will allow them to spend time at luxurious ryokans Hoshino Resorts KAI. *1 Kaiseki cuisine: a selection of traditional Japanese dishes served as a course meal. Hoshino Resorts KAI is a chain of onsen-type ryokans with luxurious facilities and impeccable service. There are 15 facilities throughout the country in famous hot spring locations such as Hakone, Nikko, and Atami. A guest room at KAI Hakone. One of the most appealing points of the KAI ryokans, besides their luxurious onsen, is their interior, which incorporates natural and traditional aspects of the surrounding area. For example, at KAI Hakone, customers can admire traditional Japanese marquetry called yosegi-zaiku, with cups and bowls displayed in almost every corner of the building, including the lounge and cafe. They even have an extraordinary room called “KAI Signature room” (*2), with yosegi-zaiku style furniture made by local artisans. By staying at Hoshino Resorts KAI, you will have the wonderful opportunity to experience the local traditions of the area firsthand. *2: For the users of "Travel in Your 20’s Project" the KAI Signature room is not available. Exemplary dishes served at KAI Atami. The food offered at Hoshino Resorts KAI also reflects the very essence of the local area; each dish is made with local products, showing off the assets and blessings of that region to their fullest. A great example of this is the food served at KAI Atami, where the guests at the ryokan can savor a kaiseki-style supper. The meal is made from fresh vegetables and fish from Atami and the neighboring city of Izu. This way, the ryokan can further provide their guests with the authentic seaside atmosphere that Atami is known for. By staying at Hoshino Resorts KAI, you can also get to know the local cuisine in the most enjoyable way possible – through your taste buds! At the Hoshino Resorts KAI facilities, there are helpful and friendly staff ready to answer your questions and needs in English. They will also provide international guests with detailed explanations on on how to enter onsen and how to enjoy your kaiseki food in the Japanese manner. Visitors need not feel anxious if it is their first visit to a ryokan. The “Travel in Your 20’s Project” - Up to 60% Off the Standard Prices! If this has piqued your interest in seeing what it would be like to stay at Hoshino Resorts KAI, use the Travel in Your 20’s Project run by Hoshino Resorts KAI. This is a special plan for anyone in their twenties, regardless of nationality. Let us tell you about this sensational offer in more detail. Special Benefit No.1: Spend the Night (Two Meals Included) for 19,000 Yen! The price for one night with two meals included is just 19,000 yen (after tax, service fee included; the bath fee is separate). This is truly a once-in-a-lifetime chance to savor the perks of staying at a luxurious Hoshino Resorts KAI, in one of their 15 locations found nationwide, at a price that is an impressive 60% off the standard fee! *KAI Atami will close temporarily for renovations and can be used only until March 2019. 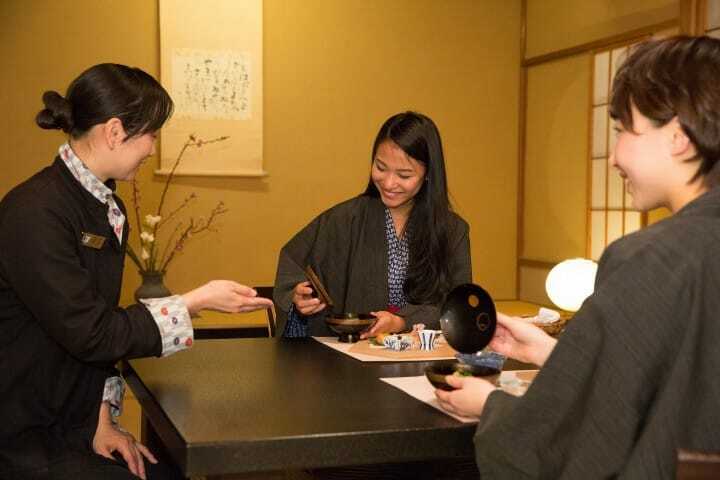 Those staying at a ryokan for the first time may feel insecure when it comes to wearing a yukata, using the bathing area, or eating kaiseki cuisine. If you use the Travel in Your 20’s Project, you'll receive the RYOKAN GUIDE, a book with details on manners when staying at a Japanese inn. Special Benefit No.3: Rent Out a Times Car with an Exclusive Discount! Times Car Rental has prepared a special discount price for their rental services exclusive to users of this plan. There is no doubt that renting a car is the most convenient and satisfying way to explore the surrounding area at your own pace. You won't need to worry about train or bus schedules, and you will have all the time and freedom to plan a trip itinerary that suits your personal preferences and wishes. Now, the most important information part: if you find yourself unable to resist this incredible opportunity to stay at the fabulous ryokan and onsen Hoshino Resorts KAI – just follow this English link, and you’ll be done making your reservation in no time! 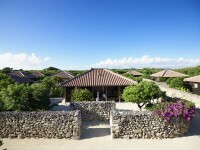 It is possible to make a reservation as early as 45 days before your actual stay. If you’re interested in using the Travel in Your 20’s Project, make sure to make your reservation in advance, as there are a limited number of spaces available. The Travel in Your 20’s Project was initiated by Hoshino Resorts President, Hoshino Yoshiharu, who wanted to offer young travelers the chance to expand their horizons by enjoying a trip that allows them to gain precious life experience. So how about enjoying hot springs, refined cuisine, and regional culture at a Hoshino Resorts KAI ryokan? *This discount plan is available only for people aged 20 to 29. As the number of possible users of this plan is limited, please note that there might not be any vacancies left after a certain period of time.